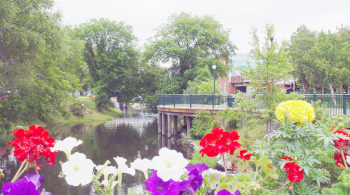 Boyne City is the hub of northern Michigan! The City of Boyne City is a town of approximately 3,735. "Boyne City grew 6% from the 2000 census to 2010, making us the fastest-growing city in Northern Michigan". It is situated along the Eastern shore of beautiful Lake Charlevoix, in Charlevoix County, with direct access to Lake Michigan. The City offers new and expanding industry and a host of competitive advantages with an outstanding quality of life. Within its 4.5 square miles and 11 miles of lake frontage, there are 6 public parks, a municipal beach, and a boardwalk on the Boyne River. The downtown area offers great restaurants, specialty foods, snack shops, eclectic gift shops, sporting goods & clothing stores, art galleries and so much more. In addition, Boyne offers Great Lakes boating, world-class golf, hunting, fishing and the best downhill ski resorts in the Midwest. All these contribute to Boyne City's reputation as one of Michigan's most desirable places to live and work!